Want Geekgold? Visit my profile! Happy to use myself as a bit of "easy target" for the sake of future gaming nirvana I decided quite recently to put up a thread in Recommendations asking people to suggest games to me. Not in a normal manner, mind you, I wanted to know what games people couldn't believe weren't a part of my collection. So it's around that time again where I start to wonder what games I'm missing out on enjoying. I don't have the largest of collections but I do try to keep a nice variety going. I'm interested to hear what people can't believe I don't have. In other words, sell me your favourite game. Picture having my collection as your own and based on that the very first game you would have to purchase. What is it that I would like about the game? Does your game address a gap in my collection? 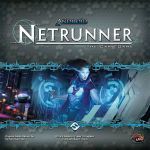 Is the game readily available to purchase or a little harder to find? 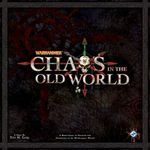 What's the greatest feature of the game? Open to absolutely anything, even if you don't think it fits in my collection. Thanks to all who participate & contribute in this thread! After seeing that someone added the tag to the thread "+shouldbeageeklist" I thought that was probably a great idea! 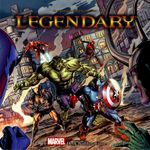 So rather than continue on with the thread, I've decided to maintain this geeklist for everyone to help contribute to. Please, feel free to point out the flaws in my collection and boast about how awesome the game is you really think I should have! Have fun! This is a public geeklist, please feel free to add items! 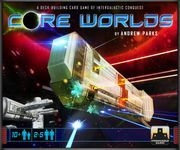 I like it because it's a really good explore and expand type game of worker placement. Really good from two to four players and looks gorgeous when the game is over. One of the first games I added to my collection. 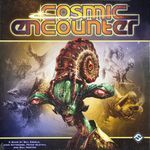 A two-player "space hulkish" mission based game. What I like is it offers various scenarios to play. Has an easy play mechanism to learn and is quite fun. The theme is what got me, good guys against evil Axis forces (zombies, blitzhunds) set in an alternate WWII universe. Plain and simple just a great game. Players each have their own goals and abilities. 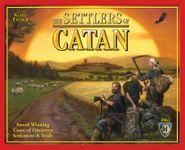 Once you put your investment forward to learn how the game works the struggle on the game board is quite fun as you work towards your own goals and attempt to undermine others. 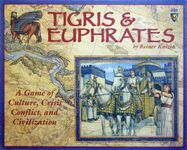 I can't believe you don't have the Mona Lisa of Eurogames, Tigris & Euphrates! Big freedom of action, unusual gameplay, intense confrontation. 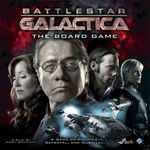 I can't believe you don't have the acclaimed co-op/traitor game Battlestar Galactica: The Board Game either! Perhaps not the best co-op game out there, but hunting cylons and betraying humans is fun! 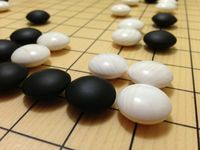 Finally, I can't believe you don't have Go, the best abstract game of all time! The perfect marriage of tactics and strategy, paired with minimalistic beauty. Bit of a money sync if you want the whole thing, but it is a terrific game and the heads up play is fantastic. Probably my favorite game to lose, as I love recounting the game and looking for spots to improve. very easy "wargame" to get in to, provides a great amount of quick decision making and replayability. 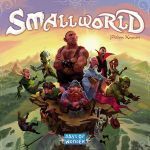 Expansions are getting a bit hard to come by, but the base game alone has given me a few years of streamlined, strategic glee. Great deckbuilder (which you are missing), and scales semi-well. They are expanding the content in interesting ways also, blurring genre lines should make for some great themeatic mashups. Go get it now. Death Angel writ large for me although plays different in many ways. top 5 solo games, and the theme works well. 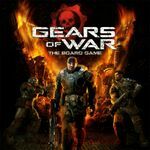 If you lived in canada i would ship you my GoW just to see your reaction to playing it a few times. Also Small World / Small World:Underground are great variable-power ameri-euro blends. I think you should try out Antike Duellum as an (partly) conflict game with euroish influence. Really good game, 2p only though. If you like multiplayer there's a new revised edition of the original multiplayer version Antike to be published later this year. Though for many players, Imperial 2030 by the same author might be even the better choice. My favorite game is Dominant Species. It's a high-conflict brain-burner. It'll add a combo of worker placement and area control to your collection. 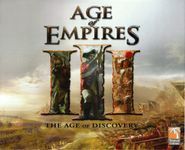 I've heard Age of Empires III: The Age of Discovery is similar and shorter, but I haven't played it myself. 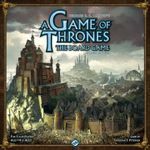 ...if you have a total of six players you can get together, look at A Game of Thrones: The Board Game (Second Edition) as well, but I can only recommend that with six as we haven't played with the variants for fewer players and the stock rules haven't worked well for us.